A team of researchers from Washington State University (WSU) have shown a method to supply a drug to a tumor by attaching it to a blood cell. The innovation would enable doctors to target tumors with anticancer drugs that might otherwise destroy healthy tissues. A research team led by Zhenjia Wang, an assistant professor of pharmaceutical sciences, and aiming to develop the treatment, worked at the microscopic scale using a nanotherapeutic particle so tiny that 1,000 of them would be placed across the width of a hair. The researchers demonstrated they can deliver a drug through the armor of blood vessels that normally shield a tumor by attaching a nanoscale particle to an infection-fighting white blood cell. This has been a huge challenge in nanotechnology drug delivery. The researchers reported on the method in the recent issue of the Advanced Materials journal. 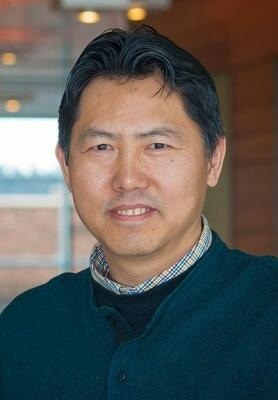 Partnering with colleagues in Spokane and China, Wang implanted a tumor on the flank of a mouse typically chosen as a model for human diseases. The tumor was exposed to near-infrared light, resulting in an inflammation that discharged proteins to attract white blood cells, known as neutrophils, into the tumor. The mouse was then injected with gold nanoparticles treated with antibodies that mediate the union of the neutrophils and nanoparticles. When the tumor was exposed to infrared light, the light’s interaction with the gold nanoparticles generated heat that destroyed the tumor cells, Wang said. Going forward, therapists could attach an anticancer drug like doxorubicin to the nanoparticle. This could let them deliver the drug straight into the tumor and avoid harming nearby tissues, Wang said. We have developed a new approach to deliver therapeutics into tumors using the white blood cells of our body. This will be applied to deliver many anticancer drugs, such as doxorubicin, and we hope that it could increase the efficacy of cancer therapies compared to other delivery systems. Wang and Chu’s colleagues on the research are postdoctoral researcher Dafeng Chu, Ph.D. student Xinyue Dong, Jingkai Gu of Jilin University and Jingkai Gu of the University of Macau. The National Institutes of Health funded the work. The research is in accordance with WSU’s Grand Challenges that focus on areas of research solving some of society’s highly complex issues. The research is mainly relevant to the challenge of sustaining health and its theme of disease treatment.